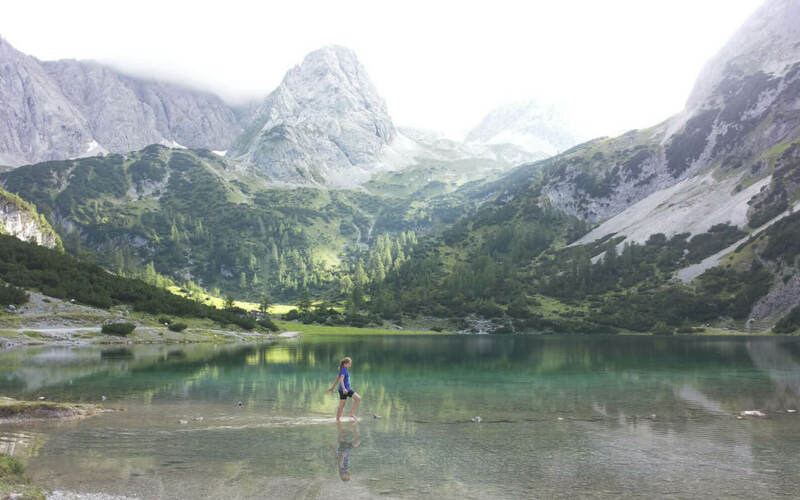 A green blue shimmering mountain lake – the Seebensee. So clear that you can recognize every single stone on the ground, every little fish in it. 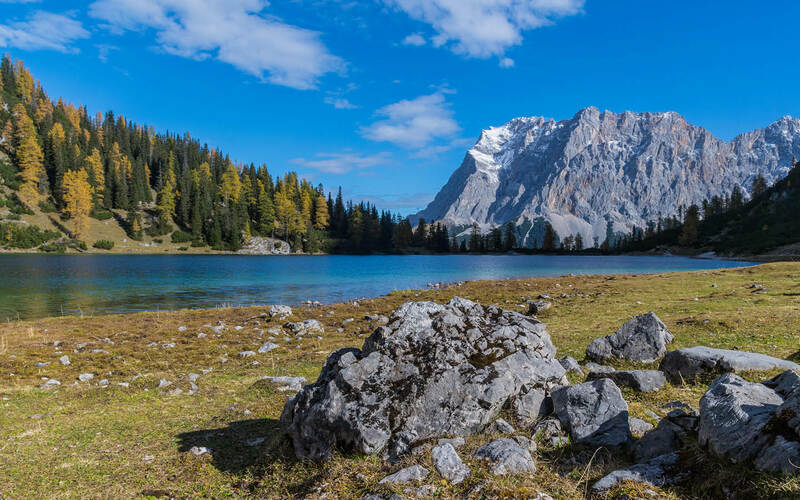 The mountain chain, which surrounds this dreamlike body of water, is pictorially reflected in it. Narrow wooden bridges lead along the banks of the lake over small streams. A gentle breeze of the wind brings movement into the surface and form small waves, swaying gently over the edge of the lake. You sit on the shore and enjoy: the view, the nature, time for yourself. A gentle rippling next to the twittering of birds and croaking of ducks. Nothing more. But – in the middle of nature at an altitude of 1,657 meters, there is not much else to hear. The wild-romantic „Gaistal“ is characterized by almost untouched nature. 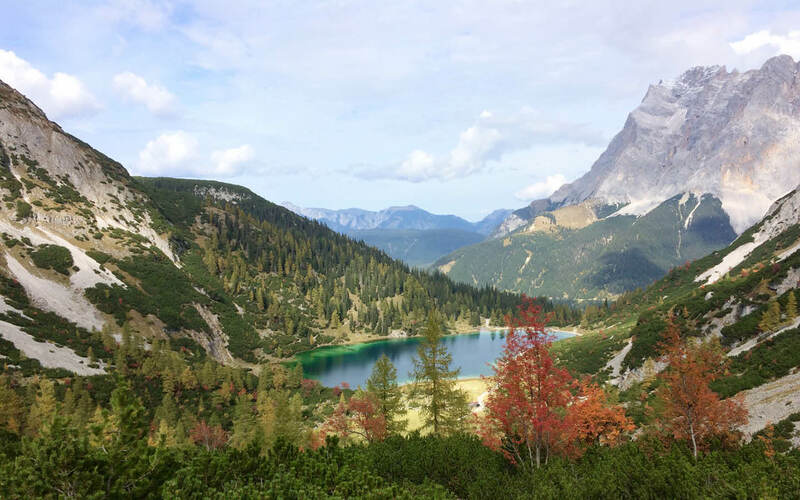 It is understandable that there are places like „Seebensee“ – and above all can remain. Untouched, pure and genuine. The „Gaistal“ connects three Tyrolean districts – Reutte, Imst and Innsbruck-Land – and is closed for car traffic. 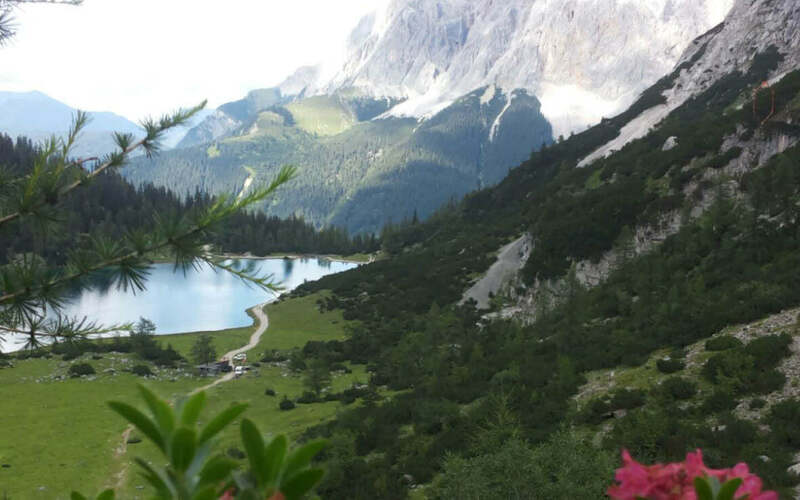 From Leutasch, one of the five resorts of the Olympiaregion Seefeld, a broad path leads with a pleasant ascent through the wild-romantic valley to the glass-clear „Seebensee“. At the entrance the majestic „Hohe Munde“, the valley of the impressive „Wettersteingebirge“ in the north and the „Mieminger chain“ in the south. 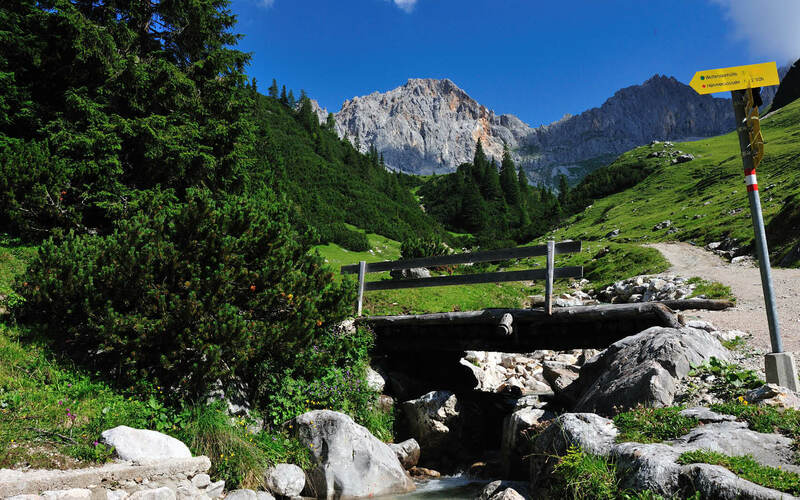 The trail leads along the „Leutascher Ache“, which was used in the 19th century for transporting the wood (drifting), through cool forests and pastures of lush green meadows and small waters. 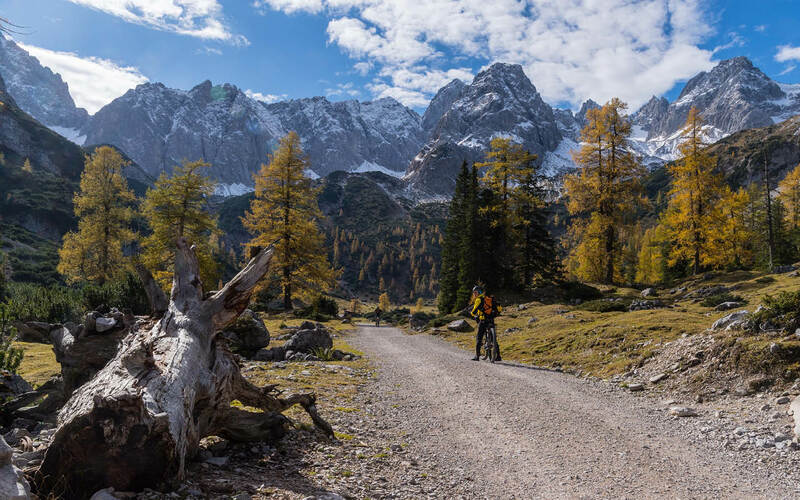 Recreation enthusiasts, families as well as sportsmen will find their way in the „Gaistal“ and the valley is as popular with hiking as with (E-) bikers. 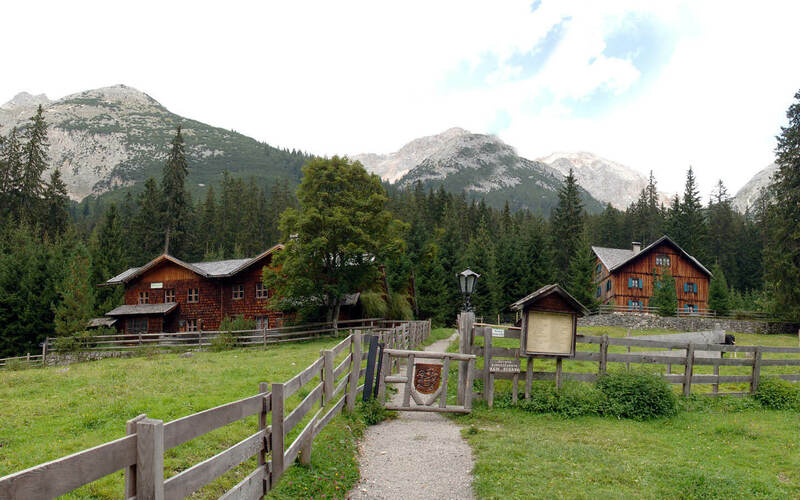 Many cozy pastures line the trail and invite excursionists to a well-earned rest. Not for nothing is the „Gaistal“ also called „Almenparadies“. But the Gaistal is not only very popular nowadays. Even before, it was a convivial meeting place. One of the most famous “Gaistal-lovers” is probably the writer and huntsman Ludwig Ganghofer, who became known with his native Romans. His muse, among others, came from the „Gaistal“, where he spent nearly 20 years of his life, and also composed many of his novels, even one of his most famous works, “Silence in the Woods”. Around 1900 the hunting lodge was also a popular meeting place for artists. His wife Kathinka, an actress and singer, was a warmly hostess, who would like to invite the celebrities and immortalize this in her guestbook: Rainer Maria Rilke, Johannes Brahms, Hugo von Hoffmansthal and Kaiser Wilhelm II are just a few of the illustrious guests. A little contemporary history can still be experienced today. Not far from the „Gaistal“, there is the „Ganghofermuseum“ in Leutasch, which recalls, among other things, the life of the author. The popularity factor of the „Gaistal“ has therefore not diminished a little during the course of the century. The fact that the „Almenparadies Gaistal“ is really a small paradise is, of course, already known for a long time. 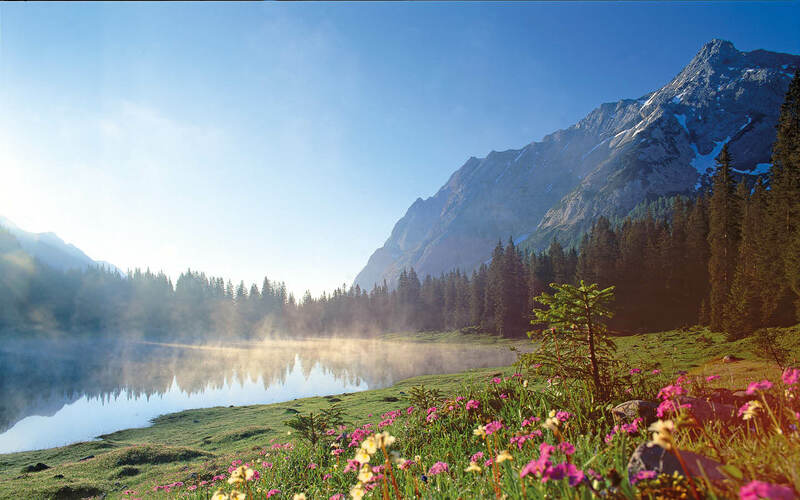 Now, however, it has also won the provincial election to the „most beautiful place in Tyrol in 2017“ in the ORF broadcast „9 seats, 9 treasures“. 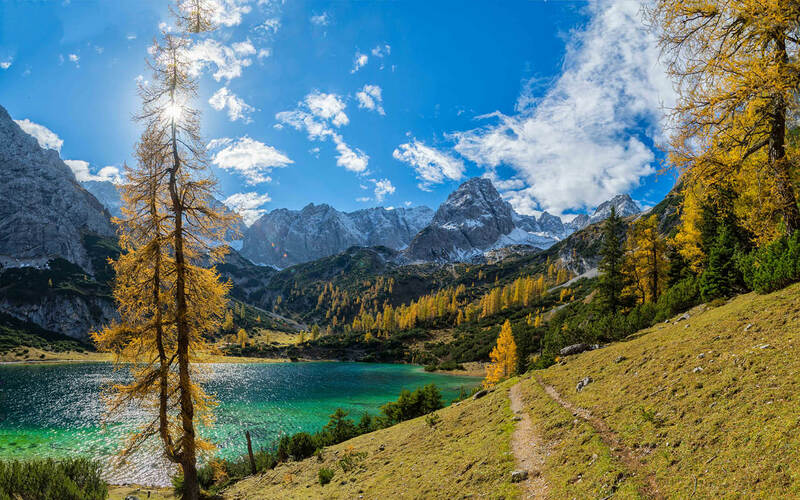 A place that was previously considered an insider’s tip – a wild-romantic valley, a crystal-clear mountain lake in deep blue-green, and the unspoilt nature – soon bewitched all of Austria in the final TV show. On 26 October at 8:15 pm, the finals will be held live in Vienna. Presented by Armin Assinger and Barbara Karlich, the „Gaistal“, with the „Seebensee“, takes place here against the other eight federal states of Austria. Whoever wins decides a jury – and you. Because the viewers choose again. Participation in the Votings for the TV show is possible for the viewers in two different ways: by telephone call and / or by sending an SMS to the telephone numbers displayed in the show. 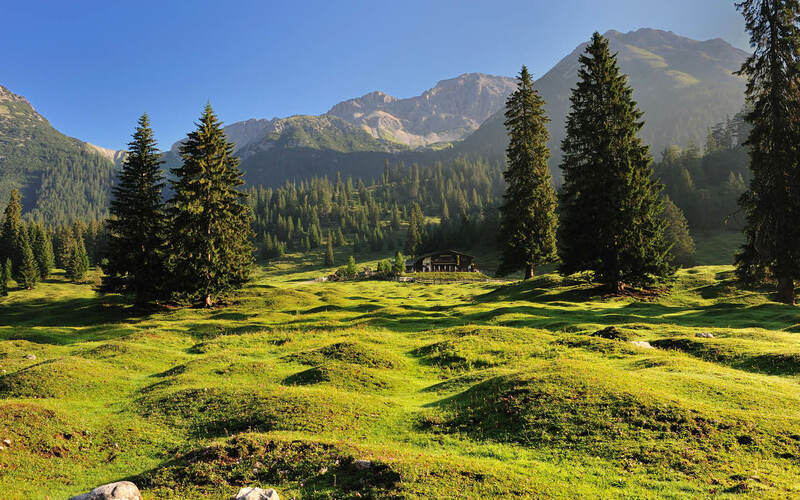 The candidate, who has received the majority of the jury points and telephone voices, wins the ORF show “9 Places – 9 Treasures” and is voted the most beautiful place in Austria. 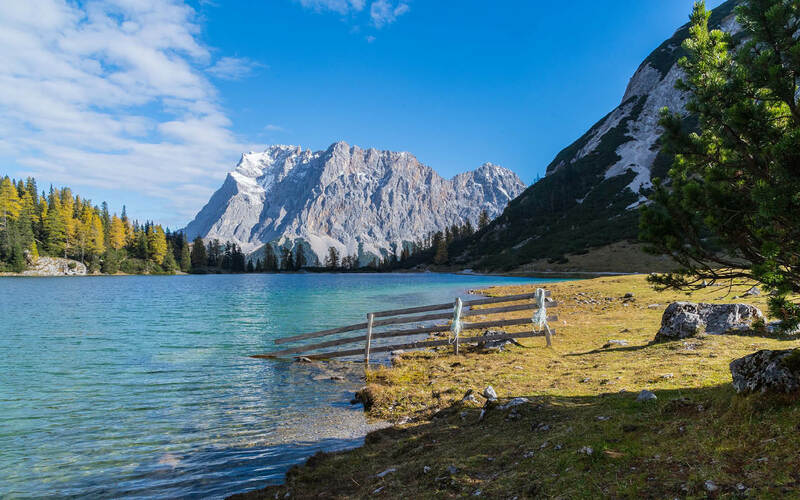 In the first show in 2014, the „Green Lake“ was won by the Styrian Tragos, in the second series of the „Formarinsee“ on the „Rote Wand“ in Vorarlberg, and last year Tyrol already made the race with the „Kaiser Valley“. Of course, we would be very happy if we could bring the victory back to Tyrol.